The following event took place several years ago during one of the most popular and most difficult Croatian offshore regattas – Jabuka. The race starts in Vodice, near the town of Šibenik. The task of the competitors is to make it through the islands and pass the dangerous waters close to Komorica islet, and then make a straight line to the endemic islet of Jabuka. 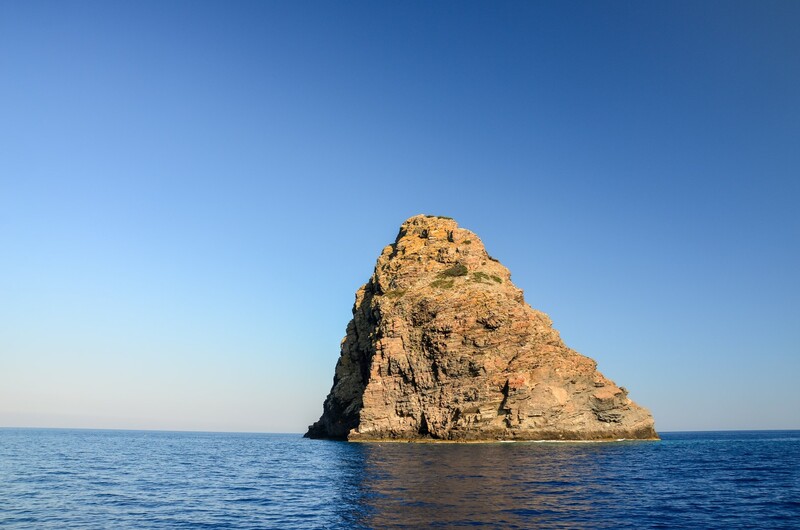 Jabuka is a lonely rock in the middle of the open Adriatic sea. After passing this island, sailors in the regatta have to rush towards the lighthouse on Blitvenica and then return to Vodice. The unique thing about this regatta is that it usually starts at midnight, or an hour earlier. Depending on the wind speed and the conditions on the sea, the regatta is usually concluded on the afternoon the following day. The length of the Jabuka regatta is 110 NM, and usually takes place in mid November, when the weather is not always very friendly. No matter the conditions, this regatta has become very popular and is considered one of the best in Croatia, challenging both professionals and amateurs. There is a story from one of the races. It starts in my friend’s office. 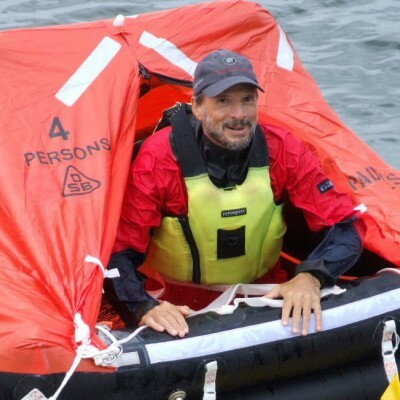 He chartered one of his yachts to his clients, who wanted to participate in the race. My friend also wanted to race, but eventually gave up, and was too busy to check the status of the racecourse online. The first news he heard about the regatta was about his chartered yacht. Not in the context of the results, however, but accidents. His yacht had lost the rudder! So, what did the crew do? As the participants of the regatta, the crew was obliged to inform the regatta committee about their accident. After doing so, the committee called for help. In spite of the high seas and strong wind, a SAR (search and rescue) operation was organized and a rescue team was on the scene very soon. In addition, one of the big carrier ships was sailing in the neighborhood, so the commander slowed down when he heard about the accident over the radio. He positioned his ship to be a shield that would protect the SAR ship and the damaged sailing yacht from the wind. The crew of the sailing yacht struggled to throw the towing lines to the rescuers, but they eventually succeeded. Soon after, they managed to embark the SAR ship, so they wiped the sweat off their foreheads and started their journey to a safe harbor. The gusts of bura (a strong northeastern wind) started to get stronger, while the tow of the abandoned sailing yacht fought high and strong waves. The captain of the ship had all the reasons to be worried as the tow suddenly broke, leaving the sailing yacht to helplessly drift into the dark raging open sea. The SAR commander estimated that the conditions were too dangerous to start the saving action once again, especially because no lives were endangered. Fortunately, everyone returned alive to the coast. Likewise, the regatta was concluded without greater injuries and damages. Several participants withdrew from the race, which is understandable, regarding the conditions. The only yacht that did not return was my friend’s yacht. Its position was established a few days later. Italian fishermen from Manfredonia found the abandoned sailing yacht and towed it to their harbor. The quest to bring it home began. This yacht definitely took the longest route to conclude the regatta. If you would like to participate in this challenging regatta, visit A Yacht Charter Croatia and charter one of the excellent sailing yachts that will help you experience the adrenaline of the race.